"The GDPR and EU consumer law set out specific rules for terms and data policies which we have incorporated for EU users. We have been clear that we are offering everyone who uses Facebook the same privacy protections, controls and settings, no matter where they live," said Stephen Deadman, deputy chief global privacy officer at Facebook. Sylvia Kingsmill, a digital privacy expert at consultancy KPMG, said such moves were "an easy way out" for tech firms. "I think that the public expectation is that their data, which they freely give up to corporate giants, is protected and I think this kind of move will catch up with the firms that make it." She added that regulators and lawmakers in the US and Canada were working on their own laws that would reflect the same controls offered by the "game-changing" GDPR. 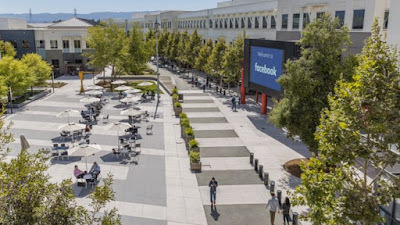 In 2008, Facebook set up its international headquarters in Ireland to take advantage of the country's low corporate tax rates but it also meant all users outside the US and Canada were protected by European regulations. Facebook has been under extremely close scrutiny following revelations that up to 87 million users may have had their data harvested by political marketing firm Cambridge Analytica without their consent. In his answers to Congress over Facebook's involvement in the scandal, Mark Zuckerberg said that GDPR was "going to be a very positive step for the internet". When asked whether the regulations should be applied in the US, he replied: "I think everyone in the world deserves good privacy protection."